We had 5 judges from the Nashville entrepreneurial community come and hear our student pitches. Prior to the event they read through each of the competitors’ business plan and business financials. After each pitch the judges asked questions and gave written feedback to the businesses. With a background in banking and finance, Van is an advocate for Nashville’s creative economy and creative entrepreneurs. She’s a founder and Chief Creative Officer of Avenue Bank as well as founder and CEO of the Nashville Fashion Alliance. Dan Hogan is a serial entrepreneur whose most recent venture was Medalogix, a healthcare analytics firm focused on patients in Home Health and Hospice. He is also currently one of the Entrepreneurs-in-Residence for the Center for Entrepreneurship. Victoria is one of Belmont’s Entrepreneurs-in-Residence and brings a depth of background from a combination of her corporate experience at Best in Class organizations including US Bank, Target, Dollar General and Gibson Brands along with having founded two businesses; VK Sport and her own business consultancy company. She is also currently working to help launch a new business in the beauty market. Megan Feeman is the founder and CEO of NoBaked Cookie Dough, a dessert brand that sells safe-to-eat cookie dough at scoop shops throughout Tennessee, Kentucky, Missouri, and ships nationwide. She is originally from Louisville, KY but moved to Nashville to attend Belmont University (2015 alum). Phil is the founder of InCrowd Capital, an angel investment network and angel fund that invests in early-stage technology companies across the region. Phil is also a relationship manager at Studio Bank, where he focuses on entrepreneurship and technology banking. 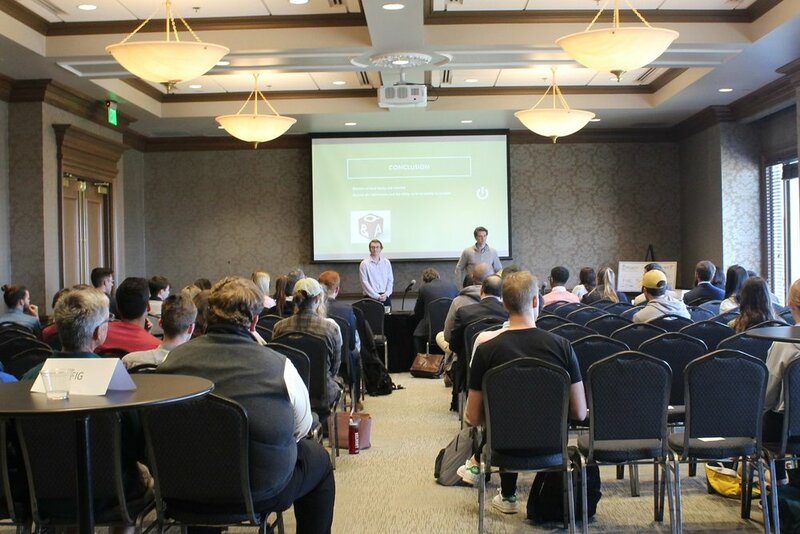 Each business had six minutes to pitch and two minutes to answer questions from the judges. 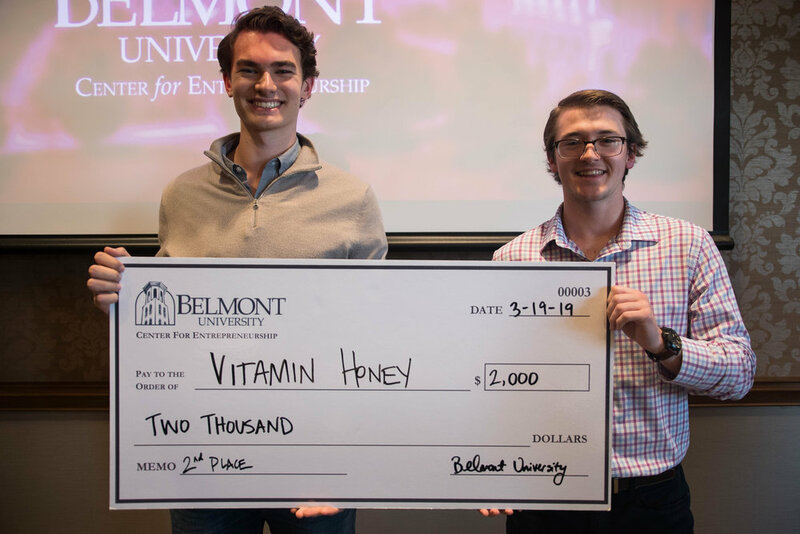 Each business was started and is run by current Belmont Students. Vitamin Honey will deliver vitamins inside sticks of honey, we will personalize the vitamins inside the honey to fit your needs and then we will ship the honey sticks to you making a tasty and more eco friendly way to get your vitamins. Notably’s mission is to enhance the world’s musical experience by providing social and analytical services. Our vision is to create a social media app that runs on music and makes it easy to see and share what you have been listening to. Nerthus is the solution to water consumption which Berlin, and Europe as a whole, has been waiting for. Our mission is simple. We aim to eliminate plastic waste by bringing clean, accessible water to as many people as possible. We believe that quality, accessible water is a right guaranteed to every citizen, but that the current methods of accessing water (tap water, glass bottles, plastic bottles) are inadequate. 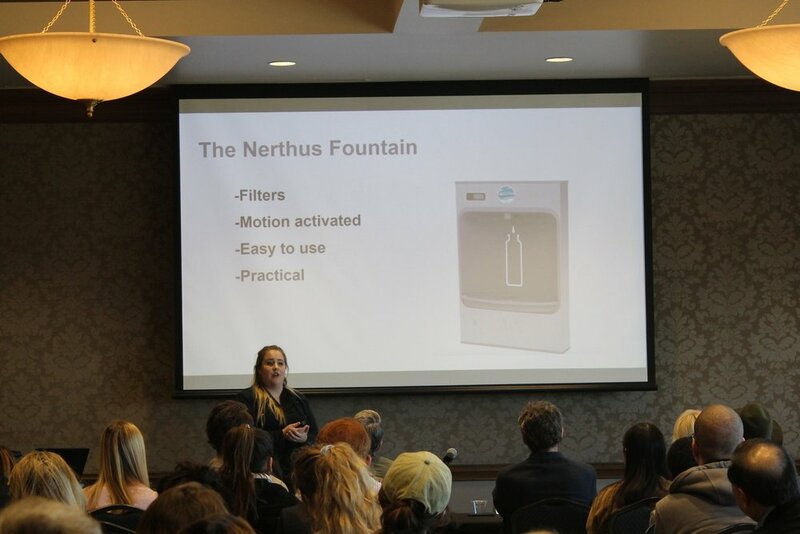 We want to unleash the full sanitary and health benefits that the Nerthus water fountains allow. Hockett Laboratories is focused on reducing the cost of previously existing necessity technologies like electricity, and contributing to software innovation across the industry to forward the positive impact that technology can have on multiple aspects of our lives. This technologies include products in industries like A.I., System Securities, Transportation, Energy, and Enterprise Software. Currently, Hockett Laboratories (Hocklab) is in a modified Stage 1 of funding. The Hen House is a company focused on promoting and providing a network for females in the music industry. Hen stands for a Swedish, genderless pronoun which is the idealism of equality the business strives for, and it also stands for Highlight, Empower, Navigate. The Hen House not only books female artists, but an entire female production crew made up of photographers, videographers, and audio engineers. Addressing the potential for violent situations in public spaces through an integrated system that utilizes three aspects - education, medical training and equipment, and strategic security technology. Dressed By is the first and only platform that gives fashion influencers the ability to hand-pick, create, and sell their own collection of products, ranging from clothing to fashion accessories, without any costs or legal formalities. The program allows them to build upon the brand that they have already established for themselves, while also providing a creative outlet and an additional source of income. Dressed By offers intentional, customized customer service to each blogger to ensure that partnerships are effective and successful. In short, Dressed By is a free service that allows fashion bloggers to easily launch their own online store. Degree of Freedom is an all American, handmade saddlery business; providing the equestrian athlete with top of the line, quality equipment. Every product that Degree of Freedom produces will have, in some capacity, the ability to stretch or give the horse a certain "Degree of Freedom" where they can independently move and find their balance quicker and easier, ultimately increasing performance and harmony of horse and rider.